It’s the season of celebration and good deals! And speaking of good deals, I’ve got a new, totally awesome freebie set for you today. These trendy, geometric shapes are going to make a great addition to your digital library. 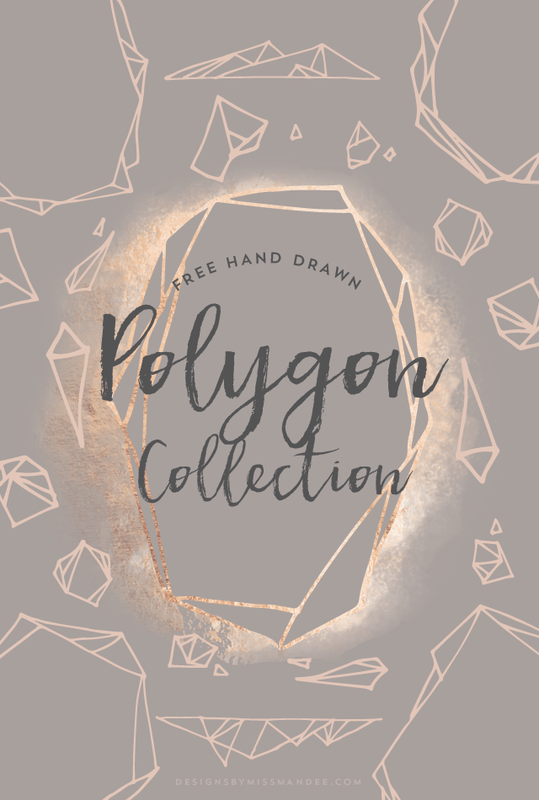 Download my hand drawn polygon collection, and design something spectacular today! This collection features 14 lovely frames, borders, and polygonal shapes. So, if you’re looking to create a modern Christmas card or add some contemporary flair to a photo, this set has just what you need. I always love providing my awesome followers with fun freebies like this, and I’m happy to say that I plan on continuing to do so (and on an even more organized schedule) in the year to come. I gave into the planner trend last week (just a nice planner and some colored markers, no stickers or washi tape: I haven’t gotten that into it…yet), and have been laying out a detailed schedule for 2018. I’ve got some lofty goals for this blog as well as my Creative Market and Etsy shops. What does that all mean for you? Even more fun hand drawn graphics, Disney designs, and educational tutorials! Plus, extra cool products stocking the shelves of my shops (woo hoo)! As always, thanks for supporting me and my work! I hope you enjoy implementing the lovely shapes from my polygon collection in your upcoming design projects. And have a happy Thanksgiving!